At ECR 2019, FUJIFILM will be showing the latest advances in their clinical imaging portfolio and IT solutions which maximising productivity and ensuring improved patient care. The principles underlying the company’s latest advances are three-fold, namely; value-based radiology to improve care quality, access and control costs; a patient-centric approach, via enhanced portfolio of products and technologies; augmented radiologists’ experience by means of articifical intelligence-powered enterprise imaging solutions. 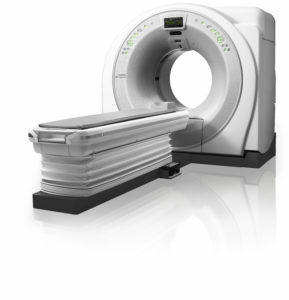 The FCT Speedia and FCT Speedia HD systems underline the company’s commitment to the medical systems field, adding CT imaging to its comprehensive portfolio of well-known room and mobile digital solutions. The 64-slice Speedia HD systems will be shown at the FUJIFILM’s booth, together with “Synapse One”, an empowered multi-modality workstation that embeds the core modules of Synapse 3D, the flagship of FUJIFILM’s informatics portfolio. An advanced AI-based solution, FCT Pixel Shine, highlights the advantages of FCT images acquired at extremely low dose using AI-based deep learning. AMULET Innovality is FUJIFILM’s flagship in the digital mammography field and features an innivative dual angle approach to tomosynthesis, with unsurpassed 50 micron pixel output, to meet breast screening and diagnostic mammography needs. The Bellus II digital workstation is a new, comprehensive workstation for FFDM and DBT image management. With multi-modality support, advanced image visualisation functions and processing, together with an embedded reporting utility, the system provides key features cruicial for an efficient and stress-free mammography diagnosis workflow. The range of images that can be viewed on the Bellus II include 2D and DBT images resulting from a new iterative reconstruction (ISR), synthetic 2D-view (S-View) images and energy substraction CEDM images. In digital radiography the FDR Smart X is a new flexible and acalable room solution which provides solutions from simple floor-mounted to ceiling-suspended configurations with long view stitching functionality, and in combination with the FDR D-EVO II and FDR-ES digital panels, has been designed to increase the productivity of all imaging departments. The FDR-EVO GL is the world’s first 43.2 x 124.5 cm long size DR panel, which allows long view radiography with a single exposure ensuring consistent, easy patient positoning and repeatable image acquisition, so reducing exam discomfort. The system features the company’s proprietary ISS technology for single-shot exposures of the whole spine and limbs which can provide excellent image quality and dose reduction. Building on FUJIFILM’s advanced image quality with Dynamic Visualisation II (DVII), virtual grid processing and dose performance, the FDR Go PLUS provides sophisticated yet simple operation and redefines mobile imaging with improved mobility, work-flow and image quality. FDR nano is FUJIFILM’s ground breaking compact digital X-ray cart system for the critical moments. Extremely light weight and compact, it utilises FUJIFILM’s Inovative products, D-EVO II and image processing technologies Dynamic Visualisation II (DVII) and Virtual Grid, to generate high quality images and lowe patient dose and to simplify everyday imaging operations.